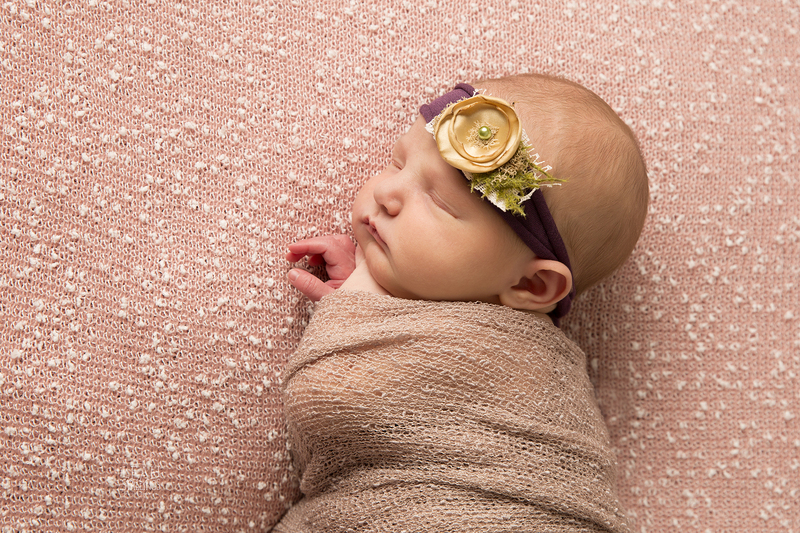 Sweet baby Adaline visited me earlier this year and meeting her was such a pleasure. 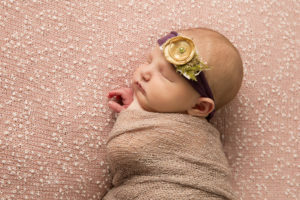 She is such a sweet beautiful baby girl with darling, dainty features. 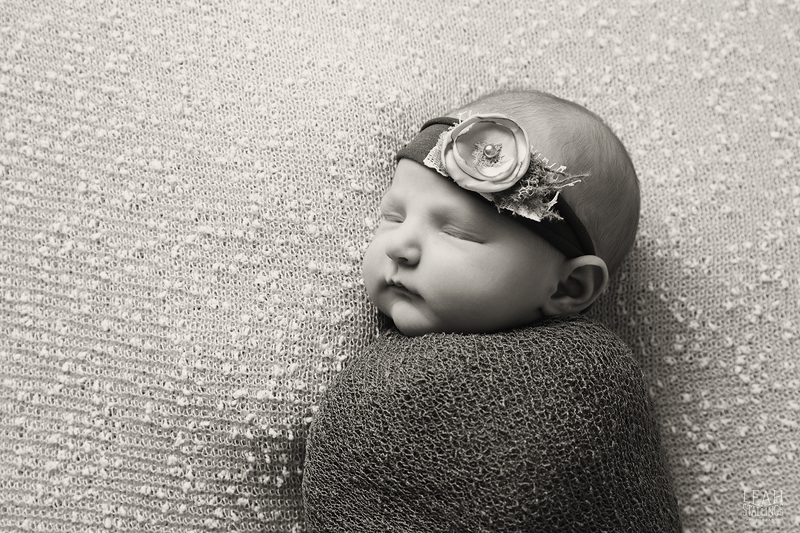 This is one of my very favorite angles to photograph sweet newborn babies. I love to see the tops of their tiny heads. And don’t even get me started on how much I adore baby feet! Okay, it’s too late, I’ve already started. There is something magical about baby feet. As a mother, I look back on the images of my children, who are now on the cusp of becoming tweens, and marvel at how small their tiny feet once were. Marvel at the fact that I could feet their tiny feet together in one palm. 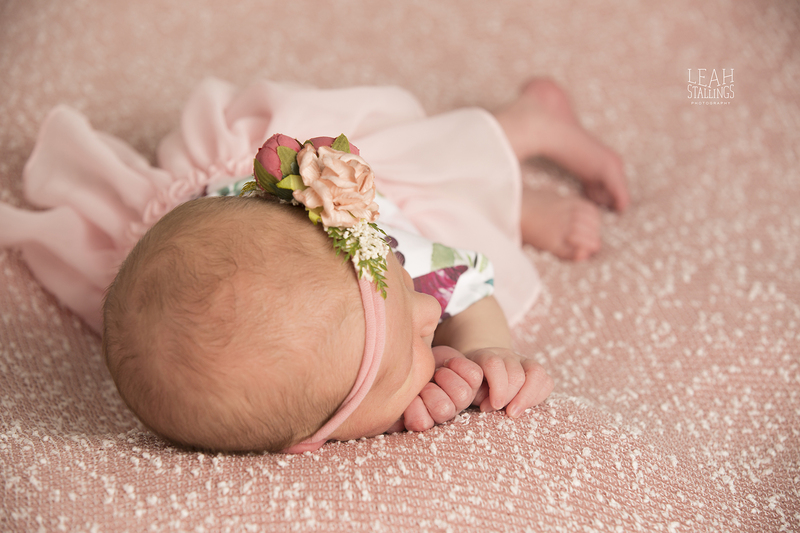 Think about all the things I out socks or lotion on those tiny feet…I’ll say it again, baby feet are magical and Miss Adaline’s are perfection! 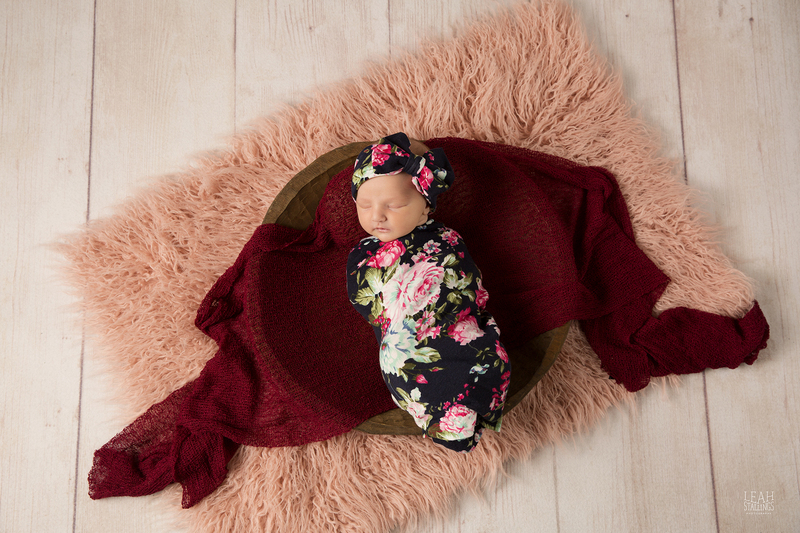 Adaline’s awesome mama brought along this adorable wrap and bow for the session and I love it so much! Such a fun vibrant pop of color the floral pattern was a breath of fresh air when I know we were all terrible ready for spring! Thank you, Chelsea for letting me snuggle on your sweet baby girl! 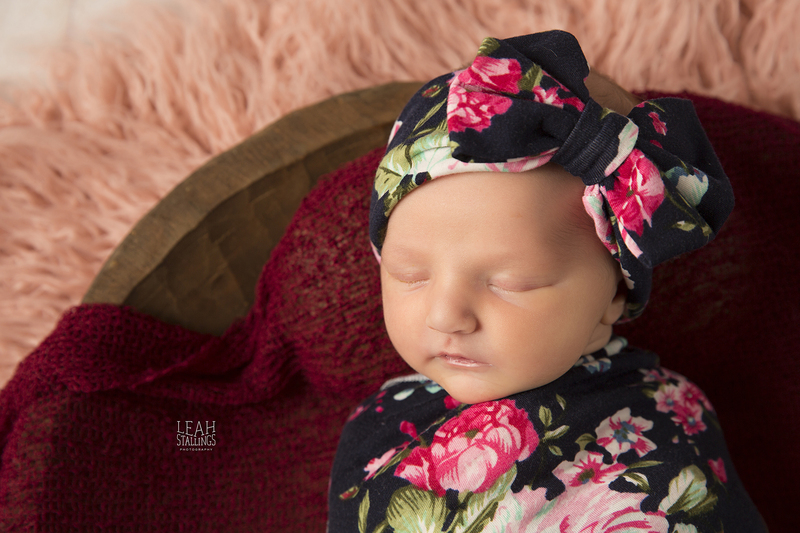 ©2019, Leah Stallings Photography, LLC. All Rights Reserved.